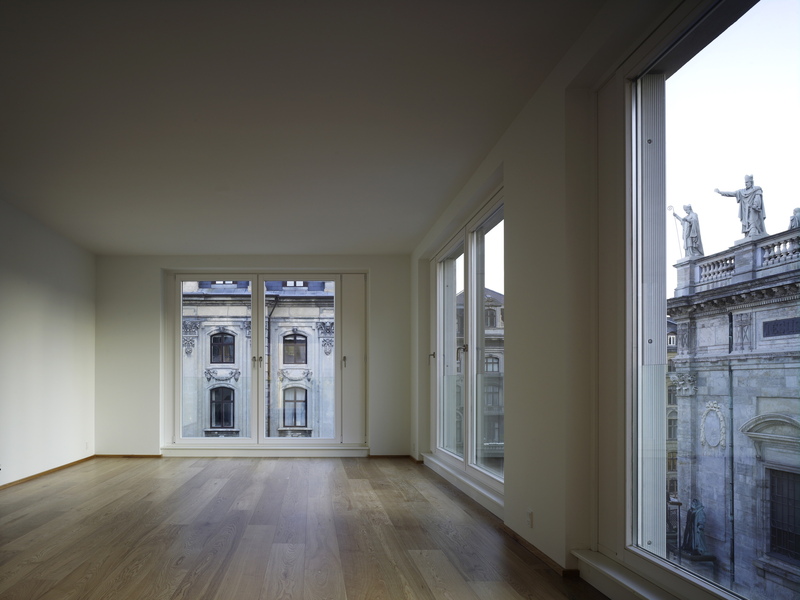 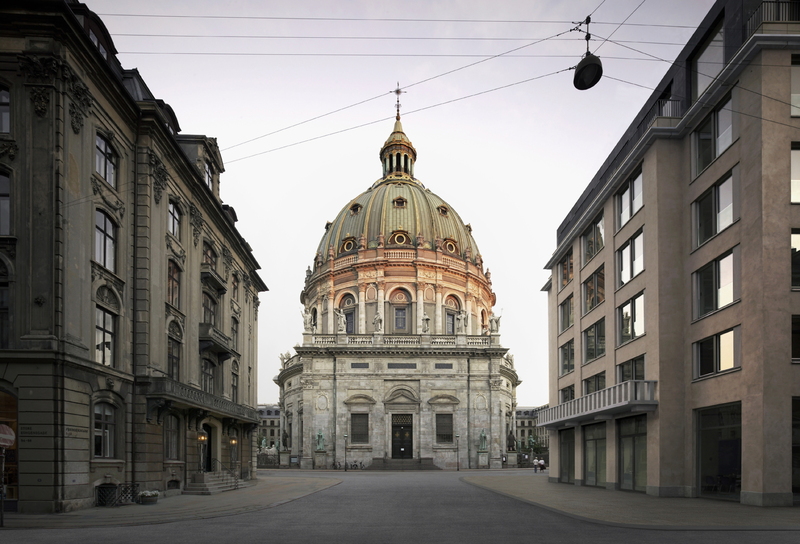 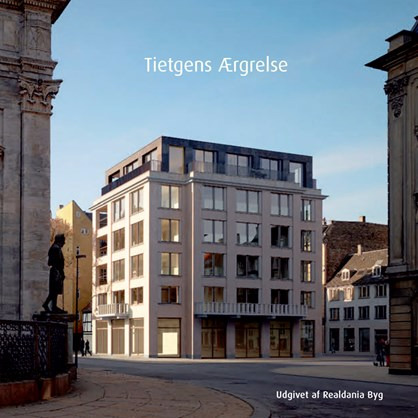 A new building in the historically significant Frederiksstaden district of central Copenhagen, which completes the classical square of apartments around the Marble church with architecture of the present time. 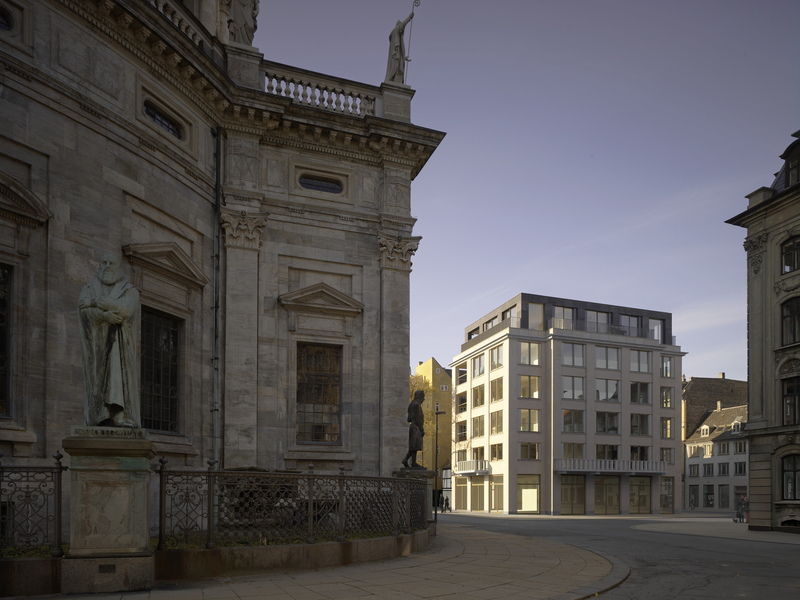 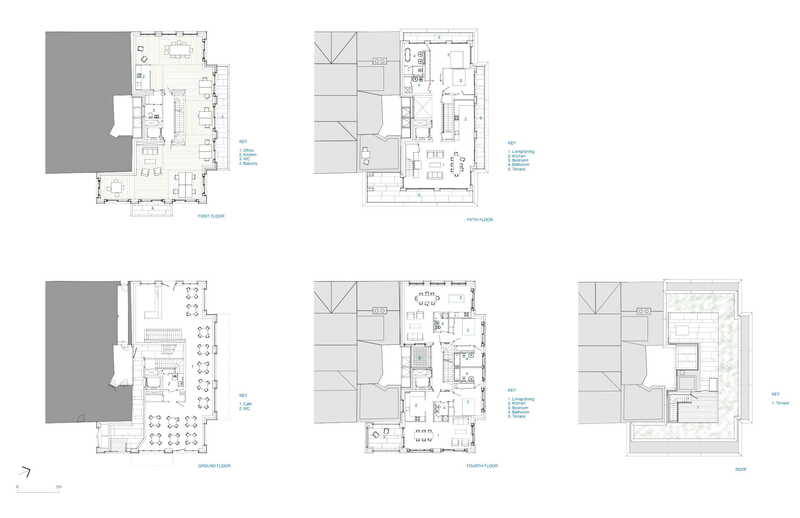 A café space at the ground floor and professional office in the first provide a discrete commercial component, and above are two apartments per floor and a roof penthouse with astonishing views of the dome and statues of the church. 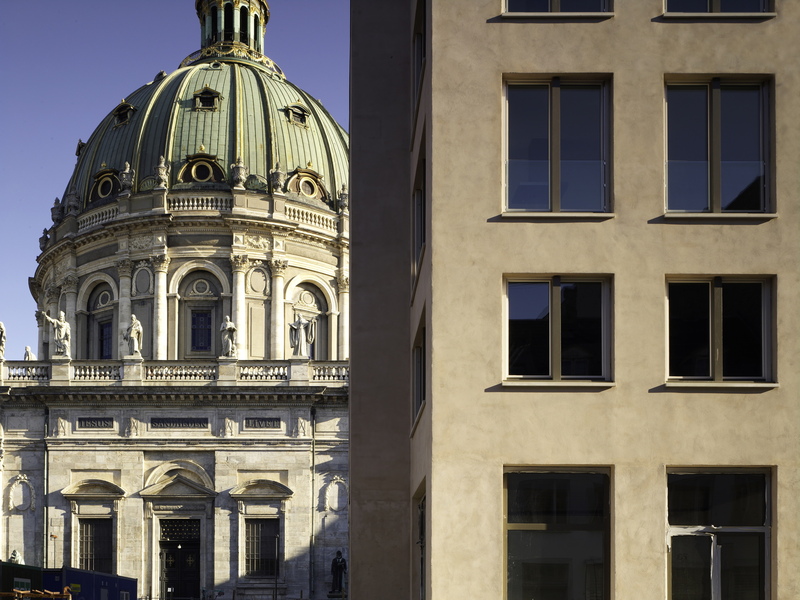 The café opens to the pavement and fames views of the church, while each part of the office floor is given a subtly different quality by its window shapes and outlook. 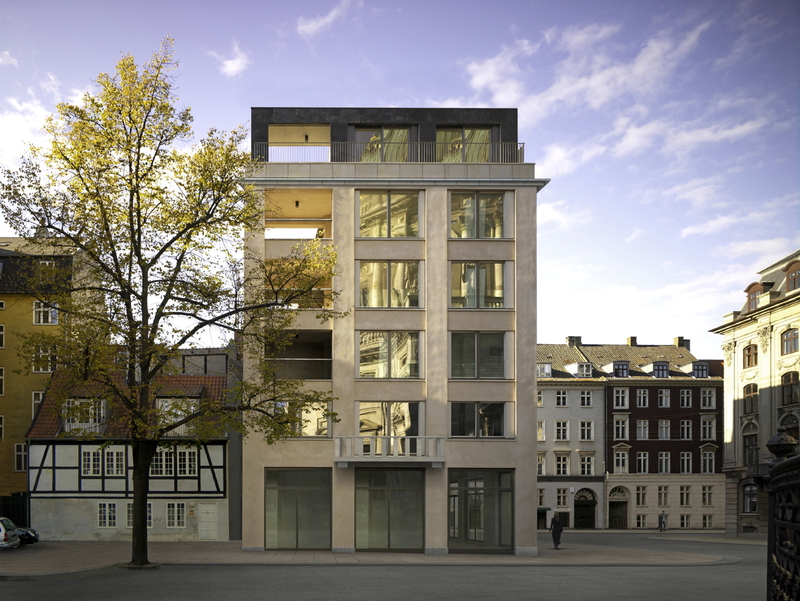 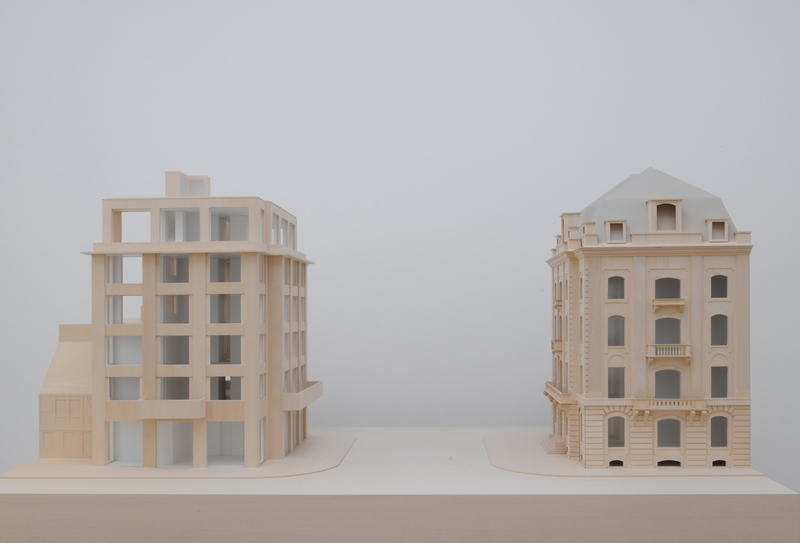 A new apartment building with overlooking Frederiksgade Square.